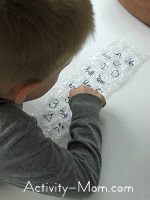 To make this bubble popping letters activity, I took a scrap piece of bubble wrap and wrote different things (mirrored) on the back side with a sharpie. Then we played a listening game with it. 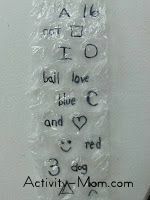 I’d tell B to pop the bubble that has a circle in it or pop the bubble that has the word “love” in it. B had fun popping the bubbles and it was a great way to practice listening and following directions. When all of the bubbles were popped, he won! You could also play this game with letters, numbers, shapes, emotions, words, or right/left arrows. This idea was inspired by a bubble popping bingo game I saw on a different blog. If it was your blog, please let me know so I can link it. What a cute, simple idea! I love it! Reply	Plants seeds of knowledge...for our future! Ingenious! Great idea, this would make a great center in my classroom! I can see lots of possibilities for peer learning and mentoring! Very, very clever. I guess I’ll have to learn to share my bubble wrap…I love popping it too. After Christmas we have a lot of that bubble wrap around. Sweet! This is great! Thanks for all the fun ideas! This is a great activity! 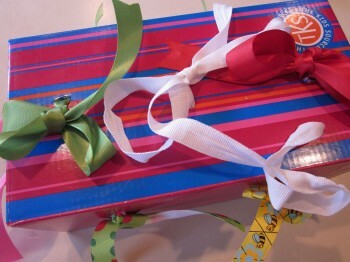 I wanted to let you know that I posted it on my weekly favorites here: http://play2grow.blogspot.com/2011/01/weekly-favorites-for-january-9-2011.html Thanks for sharing. Thank you for sharing! I used your idea and made a variation of this game. I’m trying to teach my 4 yo daughter to recognize and count correctly from 10 to 20, so I started with the #’s 10-14 and wrote the #’s on each bubble. Then I would tell her I was thinking of a number after, before or between another #. She had to find and pop the correct bubble and then color in the bubble if she was correct. Then she’d ask me a question. I threw in ABC’s to make it easier for her to ask me questions. Whoever got three bubbles in a row won the game. So, it was basically Bubble Wrap Tic Tac Toe. Thanks for your great ideas! I love following your blog!